Kazakhstan is the largest country in Central Asia and the eighth largest in the world, but its population density is very low, with fewer than six people per square kilometre. About two thirds of the population is ethnic Kazakh (mainly Muslim) and about a quarter ethnic Slav (mainly Russian), with some smaller minorities. The government’s repressive regime controls society very tightly, and the Organisation for Security and Co-operation in Europe considers elections not to be free and fair. 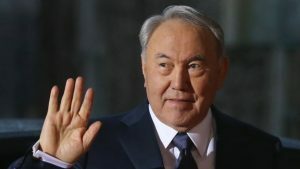 Nursultan Nazarbayev was president from the collapse of the Soviet Union in 1991 until 19 March 2019; before that, he was first secretary of the Communist Party of Kazakhstan and ruled the country from 1989. He resigned saying that the country needed a new generation of leaders, and on 20 March 2019 the speaker of the upper house of parliament, Kassym-Jomart Tokayev, became interim president. He will lead the country until elections are held on 9 June 2019. 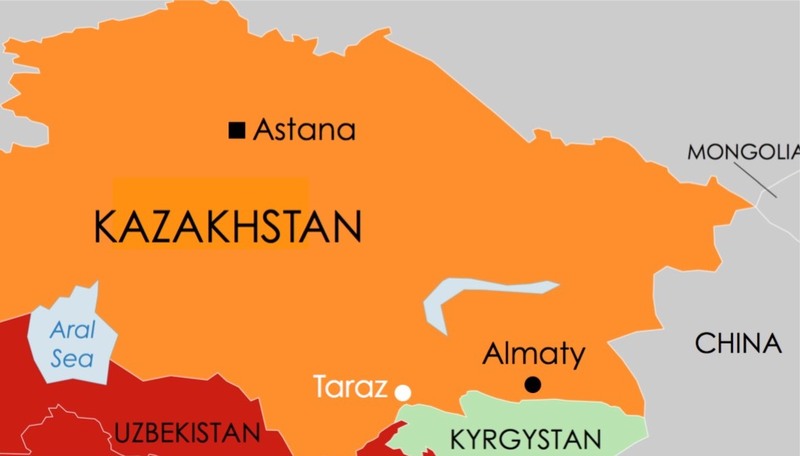 Kazakhstan is constitutionally secular, with freedom of religion, but as in other central Asian countries the threat of Islamic extremism has led the government to impose increasing restrictions and it now controls all religions very strictly. The main state agency that controls freedom of religion or belief is the Social Accord Committee (created as the Religious Affairs Committee in September 2016), which is part of the Social Development Ministry. Unregistered religious activity and proselytism are illegal (including distributing religious literature without permission), and the activities of registered groups are strictly regulated. Sunni Islam, the majority religion, is under total state control and other Muslim groups such as Ahmadis are banned. Several legally resident foreigners – including Muslims, Jehovah’s Witnesses and protestants – have been fined and handed deportation orders in recent years as illegal “missionaries”. The Russian Orthodox Church (the largest church in Kazakhstan) experiences few difficulties as the government does not view it as a threat, and Catholic churches are exempt from registration due to a government agreement with the Vatican, but other denominations are facing increasing problems. Police frequently raid church meetings, detain leaders and members and impose large fines – over one hundred Christians were given various punishments in 2017. Christian converts from Islam come under pressure to recant from family and community. In 2011, Kazakhstan’s government introduced a repressive new Religion Law that increased restrictions on meetings and “missionary activity” for all religions. The law required religious groups to re-register under greater restrictions, a complex and expensive process. For a religious group to register it must provide names and addresses of at least fifty members, which is impossible for small congregations. In 2015, under the revision of the Code of Administrative Offences, police were given the power to impose summary fines without initial due process. Such fines were first imposed in 2016, against Baptists. Access to religious literature is strictly controlled. In 2012, new censorship regulations went into effect, and in December 2016 President Nazarbayev signed a law that amended twenty other laws, including increasing penalties and state controls on the production, distribution and import of religious texts. The government censors all religious texts, restricts where they may be sold, and has banned at least 695 texts (including Muslim, Ahmadi, Christian, Hare Krishna and Jehovah’s Witness) for alleged extremism. Forum 18 News Service reports that members of churches affiliated with the Baptist Council of Churches in Kazakhstan (and other countries in Central Asia) have chosen a policy of civil disobedience, refusing to register or to pay fines imposed for practising their faith. Affiliated congregations are frequently raided and members handed summary fines by police with no court hearing for leading or participating in religious meetings without state permission. Many who refuse to pay fines are put on Kazakhstan’s exit blacklist, preventing them from leaving the country, and some have property confiscated (such as washing machines or cars), while others have restraining orders placed on property (homes, cars, livestock), preventing them from selling. The USCIRF Annual Report 2017 states that conditions for freedom of religion or belief and other civil liberties in Kazakhstran deteriorated in 2016, with officials’ heightened fears of public disorder leading to new restrictions on religion. Increasingly, terrorism and religious extremism laws with prison sentences are being used against religious nonconformity and political opposition – not just in cases of violent extremism but also peaceful dissent. The USCIRF Report makes several recommendations to the US government, in line with the recommendations of the UN Human Rights Committee, including that it urge the Kazakh government to ensure anti-extremism laws do not serve as a pretext for infringement on the right to peaceful religious observance and expression.